A smart thermostat can automatically adjust the temperature when no one is home to save you money every season. It can save energy and may even help you qualify for energy-saving programs and utility rebates. Over time, a smart thermostat can even pay for itself with the savings you'll enjoy. 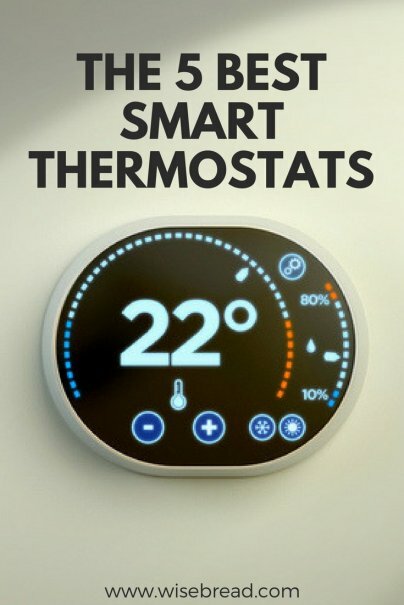 A smart thermostat can make your home more energy-efficient. Investing in a smart thermostat can save you big money in the end. That's because running your furnace, heater, or air conditioner more than necessary will just cost you more on your utility bills. The right smart thermostat can keep you at the optimal temperature while you're at home, and help save money on your heating and cooling costs while you're away. In most cases, you can easily connect a smart thermostat to your Wi-Fi network to control it from anywhere. They typically work with most HVAC systems and couldn't be easier to use and setup. They can even learn your habits and schedule, so your home or business is always at the ideal temperature. 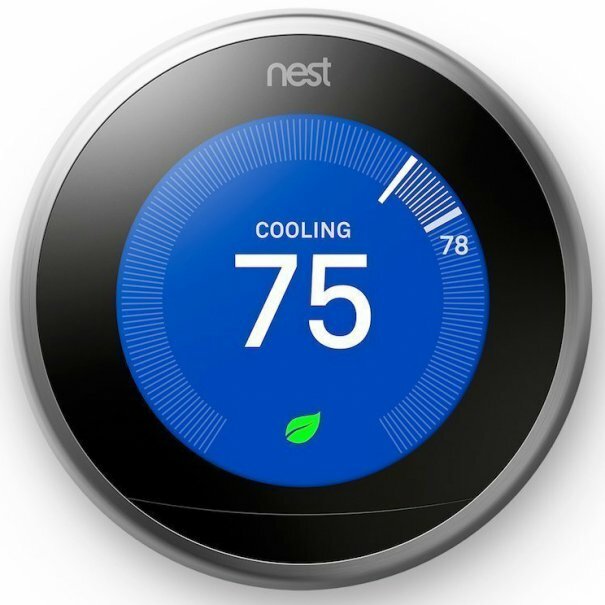 Amazon's #1 best-seller in home programmable thermostats, the Nest Learning Thermostat learns your habits and schedule. It's easy to use and install, and works with Amazon Alexa, the Nest App, and other smart devices. 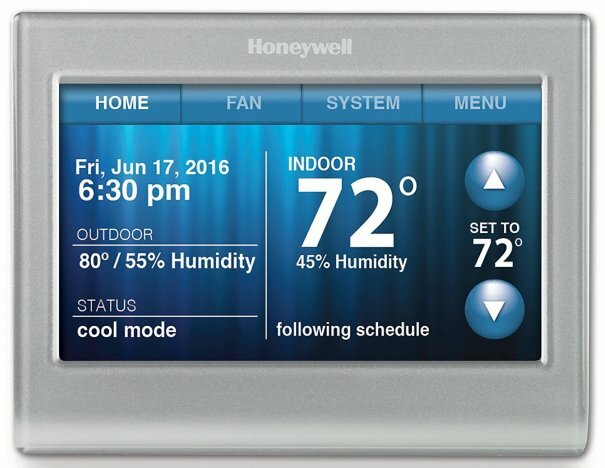 It features energy saving options, a remote control, auto scheduling, and much more. The Energy Star thermostat also uses Farsight for an easy-to-read display that you can see from across the room, which displays the temperature, weather, and time. It can also alert you if something is wrong in the home while you're away. This is available in a number of color options. It's backed by over 17,000 five-star reviews on Amazon and is recommended by CNET, Tom's Guide, Lifehacker, PCMag, and DigitalTrends. An Amazon's Choice product, the Honeywell Smart Wi-Fi Programmable Color Touch Thermostat works with Amazon Alexa. The smart programmable features include flexible scheduling, smart response technology, on-screen comfort information, indoor humidity sensor, auto alerts, and energy-saving options. It includes an app so you can control your thermostat from anywhere. The advanced comfort, security, and control features include a customizable locking color touch-screen, simple setup, and Wi-Fi remote access. It's recommended by Lifehacker and backed by over 3,000 five-star reviews on Amazon. Amazon's Choice for smart thermostats, the ecobee3 lite Smart Thermostat, 2nd Generation works with Amazon Alexa, optional room sensors, and the mobile app. It offers hands-free control, HomeKit capabilities, and hundreds of integration possibilities. It's easy to install with an easy-to-use touch-screen display. It works with your local weather, schedule, and desired comfort settings. 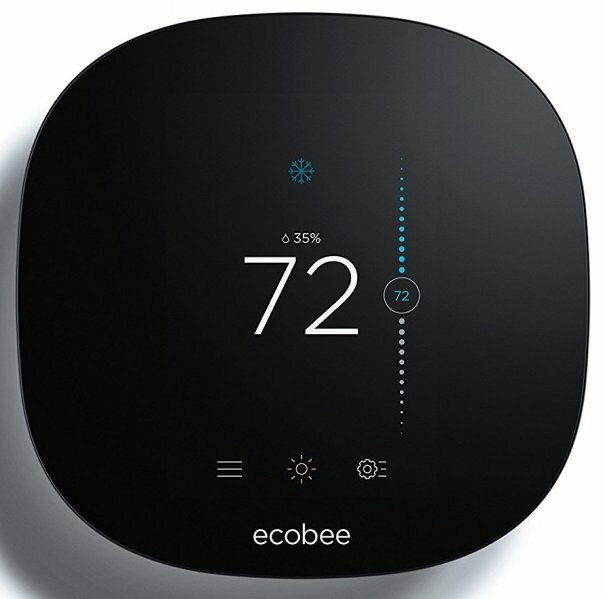 While there are other (even newer) versions of this smart thermostat (such as the ecobee4 Thermostat), the ecobee3 remains the most popular, dependable option for most people. It has more than 500 five-star reviews on Amazon and is recommended by CNET, Tom's Guide, and Lifehacker. It's also backed by a three-year warranty. 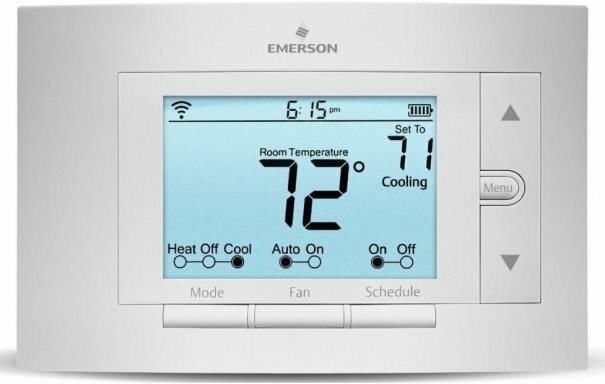 Amazon's Choice for learning thermostats, the Emerson Thermostats Sensi Smart Thermostat, works with Amazon Alexa and other smart devices. It's easy to install and remotely control temperature and timeline with the free mobile app. It uses geofencing for location-based temperature control and flexible scheduling to help reduce your utility bills. It's recommended by CNET and Lifehacker, and backed by more than 3,500 five-star reviews on Amazon. 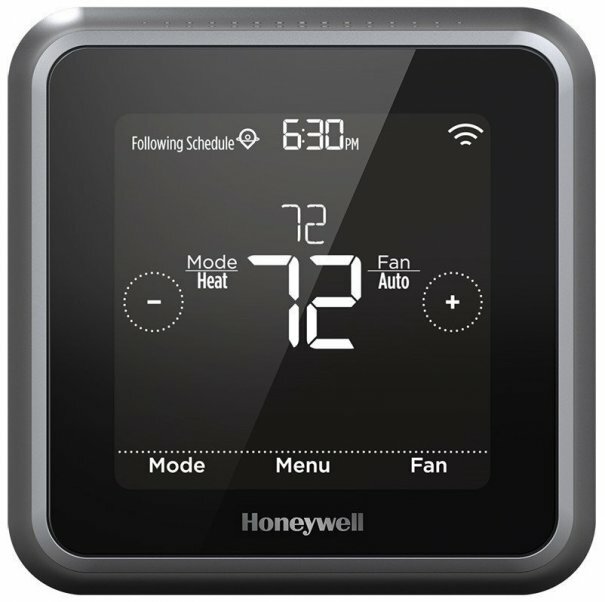 The Honeywell Lyric T5 Wi-Fi Smart Programmable Touchscreen Thermostat works with Amazon Alexa and features a simple app and HomeKit technology. It also has automation features like Smart Alerts, individualized programming, and geofencing location-based temperature control. The Energy Star Certified thermostat is easy to use and install, allowing you to connect from anywhere with your smartphone or tablet. It has more than 600 five-star reviews on Amazon and is recommended by CNET, PCMag, and Digital Trends. And those are our recommendations for the best smart thermostats. As always, be sure to check Wise Bread's Buying Calendar to learn when and how to buy just about anything!